I am one disappointed granny right now. At one point in my working career I held a security clearance. I am married to someone who at various points in his career held a security clearance. The rules were explained to us. We were expected to follow them. Excuses for not following the rules were not acceptable. So why isn’t Hillary Clinton at least charged with one of the crimes she is guilty of? Could anyone else destroy subpoenaed evidence and still be walking around? Did anyone in the Obama administration have any respect for classified documents and government archives? We identified numerous instances in which Comey used a personal email account to conduct unclassified FBI business. We found that, given the absence of exigent circumstances and the frequency with which the use of personal email occurred, Comey’s use of a personal email account for unclassified FBI business to be inconsistent with Department policy. We found that Strzok used his personal email accounts for official government business on several occasions, including forwarding an email from his FBI account to his personal email account about the proposed search warrant the Midyear team was seeking on the Weiner laptop. This email included a draft of the search warrant affidavit, which contained information from the Weiner investigation that appears to have been under seal at the time in the Southern District of New York and information obtained pursuant to a grand jury subpoena issued in the Eastern District of Virginia in the Midyear investigation. We refer to the FBI the issue of whether Strzok’s use of personal email accounts violated FBI and Department policies. The law requires the use of government email accounts in order for records to be archived. It seems as if a number of people in the Obama administration chose not to comply with that law. The harm caused by leaks, fear of potential leaks, and a culture of unauthorized media contacts is illustrated in Chapters Ten and Eleven of our report, where we detail the fact that these issues influenced FBI officials who were advising Comey on consequential investigative decisions in October 2016. The FBI updated its media policy in November 2017, restating its strict guidelines concerning media contacts, and identifying who is required to obtain authority before engaging members of the media, and when and where to report media contact. We do not believe the problem is with the FBI’s policy, which we found to be clear and unambiguous. Rather, we concluded that these leaks highlight the need to change what appears to be a cultural attitude among many in the organization. It is obvious from the text messages in the IG Report that the political culture of the FBI was very biased toward Hillary Clinton and against Donald Trump. Does anyone believe that anything was leaked to the press that would have hurt Hillary Clinton’s campaign and helped the Trump campaign? The disclosures in the IG Report are a disgrace, and yet the report does not really go far enough. We were deeply troubled by text messages exchanged between Strzok and Page that potentially indicated or created the appearance that investigative decisions were impacted by bias or improper considerations. 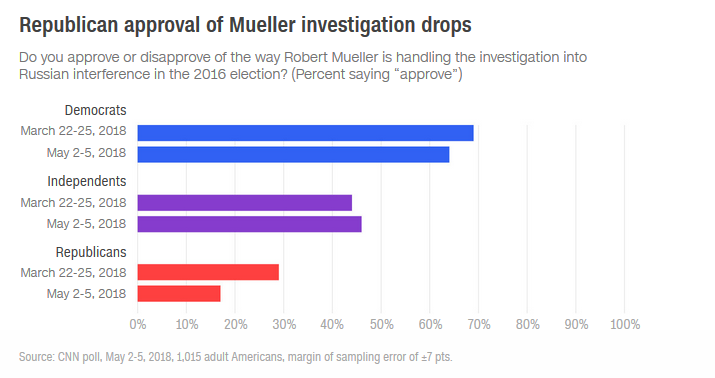 Most of the text messages raising such questions pertained to the Russia investigation, which was not a part of this review. Nonetheless, when one senior FBI official, Strzok, who was helping to lead the Russia investigation at the time, conveys in a text message to another senior FBI official, Page, “No. No he won’t. We’ll stop it” in response to her question “[Trump’s] not ever going to become president, right? Right? !”, it is not only indicative of a biased state of mind but, even more seriously, implies a willingness to take official action to impact the presidential candidate’s electoral prospects. This is antithetical to the core values of the FBI and the Department of Justice. So what are you going to do about it? In an interview last night Devin Nunes pointed out that the IG Report was the first time he had seen the above text message. Why was this message not included with documents requested by the House Committee? As I said, I am one discouraged granny. I want to believe that all Americans receive equal justice under the law, but looking at the IG Report and the people who are not currently facing jail time, I really wonder. 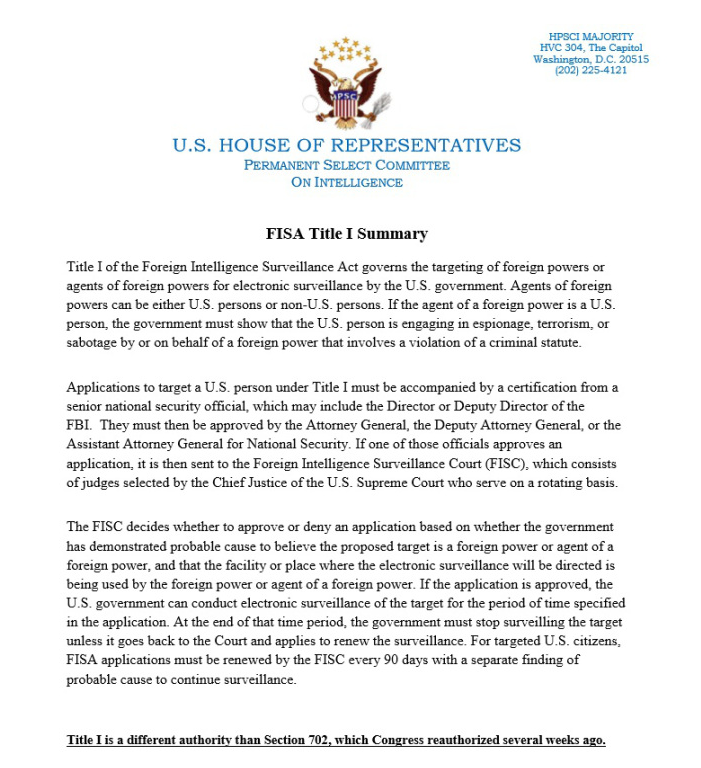 Scott Johnson at Power Line posted an article today about the ongoing efforts of Devin Nunes, Chairman of the Permanent Select Committee on Intelligence in the U.S. House of Representatives, to obtain information from the Federal Bureau of Investigation (FBI). The article notes that Kimberley Strassel has entitled her weekly column at The Wall Street Journal “What is the FBI hiding?” It is beginning to look as if they are definitely hiding something. 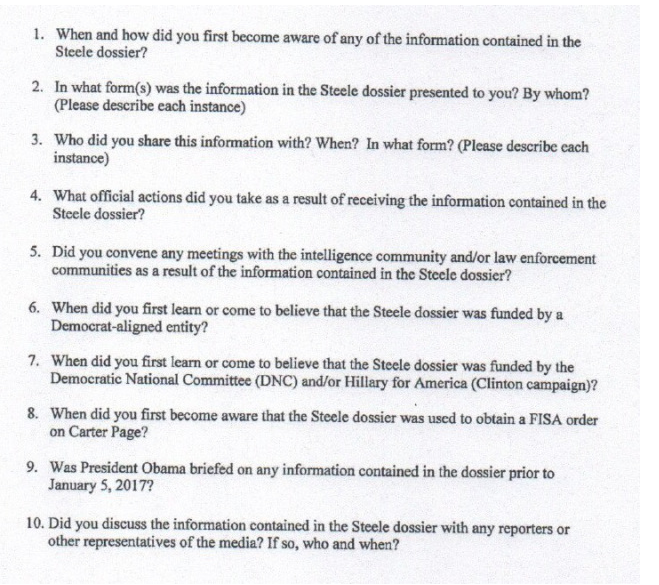 The article at Power Line includes a copy of the letter sent by Representative Nunes. It is unfair to ask Congress to exercise Congressional oversight without giving them the requested information. Hopefully the FBI will cooperate in the near future. Sara Carter has also been following this story. More details are available on her website. The Conservative Treehouse posted an article yesterday explaining the difference between a regular FISA warrant and Title I Surveillance Authority. Title I Surveillance Authority was the process used against Carter Page. The article explains why that is important. This is not some innocuous request for metadata exploration – the FBI said American citizen Carter Page was a “foreign agent of a hostile foreign government”; the FBI was calling Carter Page a spy. …To present a methaphor, under Title I FISA authority, Carter Page was essentially ‘patient zero’ in an Ebola pandemic. Labeling him as a foreign agent allowed the FBI to look at every single person he came in contact with; and every single aspect of their lives and their activities in growing and concentric circles; without limits to current time or historic review. Think about this for a minute. An upstanding citizen was accused of being a foreign agent by using political evidence against him and that evidence was used to spy on him and the people around him (and the permission to spy was renewed more than once). This is use of government agencies for political purposes. People need to go to jail for this crime. The tactics used to spy on Carter Page could theoretically be used on any American. If this abuse of power is not dealt with quickly and firmly, we can be sure that it will be repeated in the future.